Hi ! Hope You Feeling Healthy Today. Enter your sign in mobile number where we will send you link to reset password. 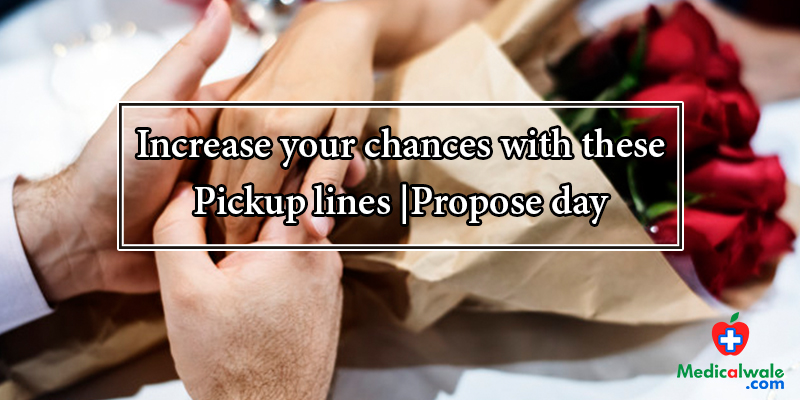 Before we propose to our loved one we prepare bunch of lines but still stay confused about what to say .To better your odds of finding that special one that you're searching for, having your pickup on point is a must. So experiment with a portion of these fool -proof lines. These lines will establish a connection without the dread of a lady leaving an impression of her hand on your cheek. So girls and guys, stay confident and in your best version while saying these. 3. "They say love hurts, but I’m ready to risk it for you"
8. “Can I hold your hand? Find more just love and naughty Pick-up lines on our app in the Kamashaastra section. Eating watermelon seeds safe or harmful? Copyright © 2019 Aegis Health Solutions. All rights reserved.